The Château de Montsoreau-Museum of Contemporary Art has the world largest collection of Art & Language movement works. Located in the Loire Valley, Listed UNESCO World Heritage, in the town of Montsoreau between Angers and Tours, 2 hours from Paris. Art & Language is a pioneering movement of Conceptual Art. The name is adopted in parallel with the creation of the magazine Art-Language created in 1968; this magazine has profoundly influenced contemporary art. Art & Language imagines since the 60s a separation between the art object and the art work. It has included Michael Baldwin, Mel Ramsden, Charles Harrison, Joseph Kosuth, Terry Atkinson, Harold Hurrell, David Bainbridge, Andrew Menard, Michael Corris, Ian Burn, Philip Pilkington, Kathryn Bigelow, David Rushton, Mayo Thompson, Sarah Charlesworth, Christine Koslov, Paula Ramsden, Preston Heller, Lynn Lemaster, Howard Graham, Sandra Harrison, Nigel Powell, Terry Smith, Nigel Lendon. In 1986, Art & Language was nominated for the Turner Prize. Being the first example of sailing architecture in the Loire Valley, the architecture of the Château de Montsoreau is pioneer of the renaissance in France. It is also the only chateau of the Loire Valley to have ever been built in the river bed. Built in 1450 by one of the kingdom richest men, Jean II de Chambes, first counselor of the Kings of France Charles VII and Louis XI, ambassador to Venice and partner of Jacques Coeur. Its exceptional and avant-garde architecture find explanations both in de Chambes travels and his fortune. The public opening of the Château de Montsoreau-Museum of Contemporary Art was made possible by the signing of an emphyteutic lease between the collector Philippe Méaille and the department of Maine-et-Loire. It took place in April 2016. This choice of Philippe Méaille originates as much in the exceptional Renaissance architecture of the Château de Montsoreau as in its location. 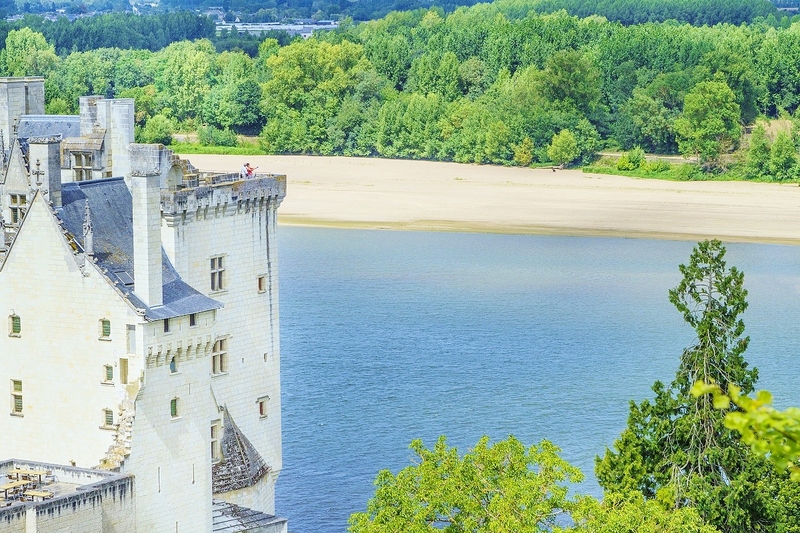 Built on a rocky outcrop located in the course of the Loire river, it gives the chateau the distinction of being the only Chateau of the Loire Valley to have been built in the riverbed; at the very spot where the Vienne flows into the Loire and becomes the widest river in France. Its location in the heart of the Loire Valley, designates it as a hotspot for tourism. The region has a strong identity, as well as a very diverse international audience.